Complete automation of management processes in an educational institution is needed. Why? To keep up with the fast evolving technologies affecting every aspect of our life, including education; why should school management take the back seat. Implementation of ERP software is a smart choice. 1. Create the objectives. Why do you need an ERP software system for your institution? What you need to do in the very first place is to clear out the objectives and vision behind the ERP implementation. Set up a team of teachers and administrators who can review strategies according to the existing processes running in the institution and which require automation. Once the objectives are clear, the rest of the processes will be easy and smooth. 2. 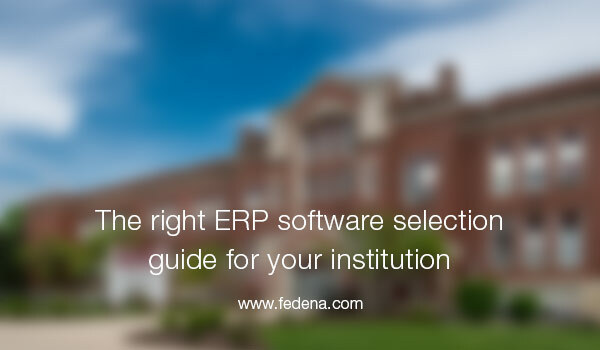 Create the feature list for ERP software that you need for your institution. The researching team has another task to carry out- figure out the features of an ERP software in accordance with the requirements of your institution. Knowing the features clearly will help in choosing the right ERP software. 3. The ERP software list is highly important. See who all are the players in the market. Shortlist the ERP software providers, based on the kind of requirements you have. A smart way to shortlist providers can be through conversation with other existing ERP user institutions. They can help you out with their experience of ERP providers in the market. Based on the available info, you can shortlist and have a talk to each of the ERP software providers to go into details of the strength and weaknesses of each of them. 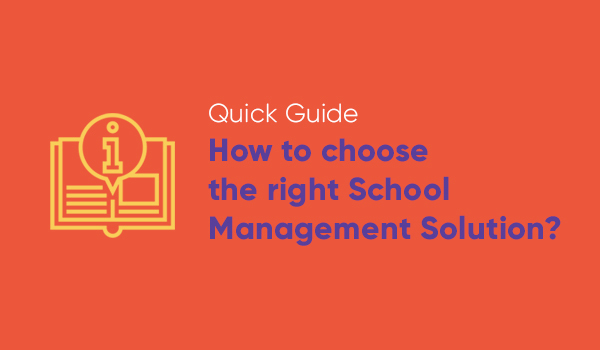 Read also: Download the comprehensive guide to know how the selection of the right school management system impact the growth and productivity of your institution. Request for proposal is necessary for it helps you with the selection of the final list of ERP software suppliers. Consider the weakness and strengths of each of them and seek additional information if there are areas of doubt anywhere. Based on your review, make the finalists to whom you can propose for a demonstration, to get a clear picture of how each of the ERP software functions. Yes, you cannot just ignore the pocket when you are deciding on an ERP software system. But it shouldn’t under-emphasize other critical factors of selection for sure, like implementation procedure, after-sale support, adaptability, flexibility to mould according to the needs of your institution as well as the ROI (return on investment) factor among others. Based on the possible benefits and disadvantages that come along with the ERP software you selected, comparing them with the cost you spend will give you a clear idea about your investment. An analysis of the benefits that await you including an increase in productivity in terms of management in reduced cost, better control of data in a safe and secure environment and all those important benefits for a real value check of your investment. When you examine the ERP software options available in the market, it’s common that almost 80% of the offerings by the software are same; but it’s the remaining 20% that makes the real difference- the tailored-made offers according to individual requirements. If you wonder what all features of an ERP software should be considered, read through an interesting article here.